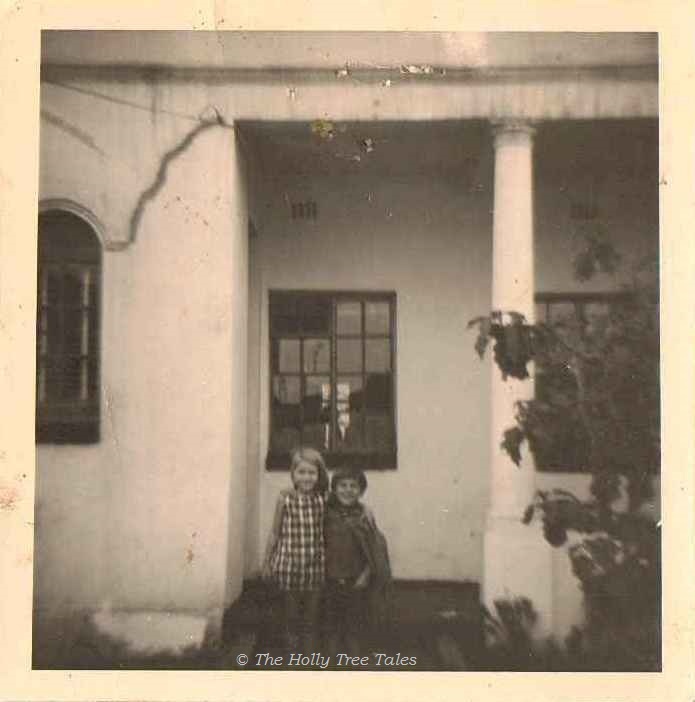 I wonder what you see when you look at this photograph of two children? We all see things according to our own lives and experiences, but sometimes the messages are universal. I know what I see and I know what I feel, when I look at this photograph. I know one of these children very well and their combined story is a powerfully moving one, when looking from the outside in, or the inside out. Each of these two children went on to create lives and families of their own, succeeding in various ways despite great hurdles, many obstacles to their security, their sense of self, and a lack of consistent parental direction while they were being raised. When I stand back and view this photograph, as an Observer, I see two vulnerable beings, trusting the world to offer fun and everything else that they need, supporting each other, believing in the positive nature of Life. Each of these children, indeed every child, was and is worthy of love and care, nurturing and wellbeing. I know that these two children’s experience was not always so, and I know the depths to which each of them had to dig within themselves, in order to survive and to go on to do well. I find myself asking this question again. We hold their world in trust, until children can take up the mantle themselves, and as we do so we carry the full responsibility, for the sake of all the children of the world. This responsibility is something I care about and feel very deeply. I wonder whether, when you look at this photograph of two trusting, outwardly optimistic, vulnerable beings, you see and feel any of this too? I wonder where the balance between vulnerability and tragedy lies, between reality, fantasy and optimism? How to raise a child to be able to keep such an attitude no matter what life brings their way. How to give foster grit, or mettle, yet innocence and sustainable wonder? It is always hard to know, Max, and I doubt there are any absolutes. Life has its waves and its tides, vulnerability and tragedy taking their turn, and it is good for us each to learn to know that whichever phase/tide we’re in, it will pass – whether we are child or adult. No matter how we are raised, or have to raise ourselves, nor how we raise our children, a certain amount of grit is very healthy for robust development of a whole and healthy self – I strongly believe that. The pearl needs the grit, to get started. However, I believe that no person, especially a child, is helped by having the rug pulled out from under them and, where there is a firm and nurturing platform supporting a child, where they are not constantly made to readjust and be repeatedly challenged to their very core, a platform of acceptance / security / unconditional love gives them something stable from which they can safely learn to fly. Those who have not had that, can take a very long time to find their wings, can stumble and break their wings often, before learning the art of sustainable freedom – just as over cossetting and not being taught how to fend for themselves can cripple people well into adulthood too. Balance, fairness and responsibility are, in my eyes, some of the important keys … and the knowledge that we shall all make mistakes, that no one is perfect, that mistakes have the power to give us new tools and life skills – IF we learn from them. Parenting ourselves is, ultimately, what we each have to learn to do, what helps us when no one else can, and benefits us each at a deep level, no matter our role or age. We must each learn to love ourselves unconditionally, for sustainable joy – something that is so much harder for those who have not had it shown to them, but is possible with continual practice, a determination to choose what brings life, and learning from positive role models. No matter what our life experience, recovering the magic of our childhood, learning to see life through the eyes of a child, as adults, can be a very healing thing too. Simplicity brings great wisdom. When we do the best we can, with what we have, and open ourselves to learn along the way, I think the answers come at their right time … and our dreams can be what they are, as fantastic and wonderful as we wish them to be. hmm thank you for the complete reply, I will be thinking about it.